Homestay & Guesthouse Manida is located in the village Ban Non Toon (sometimes also written as Ban Non Tun). In the area there are several villages with the same name, so make sure you go to the right one! 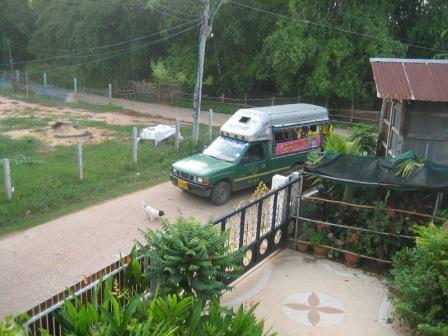 Homestay & Guesthouse Manida has pick up service! Make sure you send correct information and give your mobile phone number. Manida's phone number is 00 66 879 411 648 or when you call with a Thai simcard 0879 411 648. You just pay the transportation cost to the driver: usually a non aircon pick up truck is used. 300 Baht from Tha Phra, 400 from Khon Kaen and 500-600 Baht from the airport. You can take a taxi from the airport, the bus station or the railway station in Khon Kaen. Prices may vary and have gone up recently. Usually you pay about 400 Baht from the bus- and railway station and around 600 Baht from the airport. Outside town taxi drivers do not use their meters and you have to discuss the price in advance. The above mentioned prices should usually be enough. Coming from Khon Kaen take highway number 2 south in the direction of Nakhon Ratchasima. After 10 kilometers you get to the junction Tha Phra where you turn left direction Kosum Phisai / Mahasakaram (highway 208). Coming from Bangkok/Nakon Ratchasima on highway number 2 turn right in Tha Phra 10 km. before Khon Kaen town you turn right direction Kosum Phisai / Mahasakaram (highway 208). 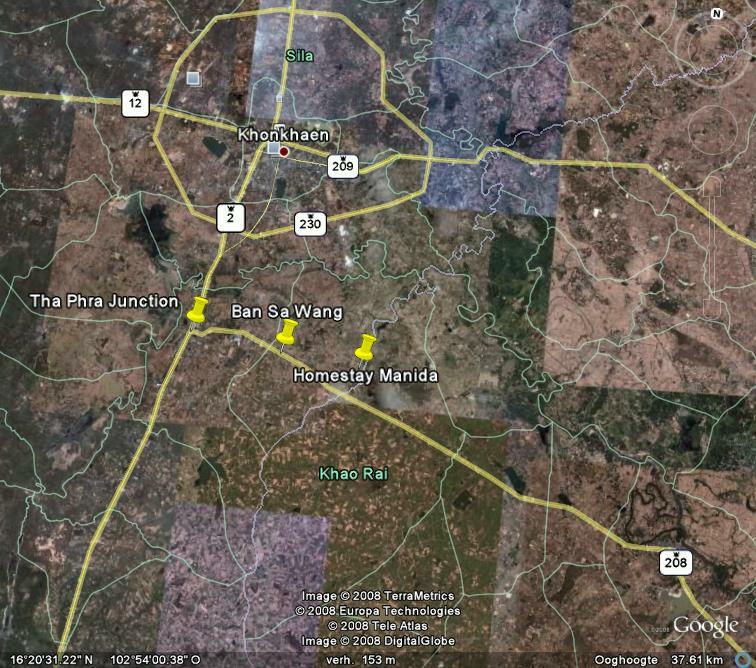 On highway 208 you pass after 2 km the Khon Kaen brewery on your right and after another 3 km the village Ban Sa Wang. After almost 10 km on highway 208 you see the sign "Homestay Manida" and take the road going to the left. After 2 km you are in the village. After the sportfield of the school on your left, take the first turn left and after 50 meters again left. 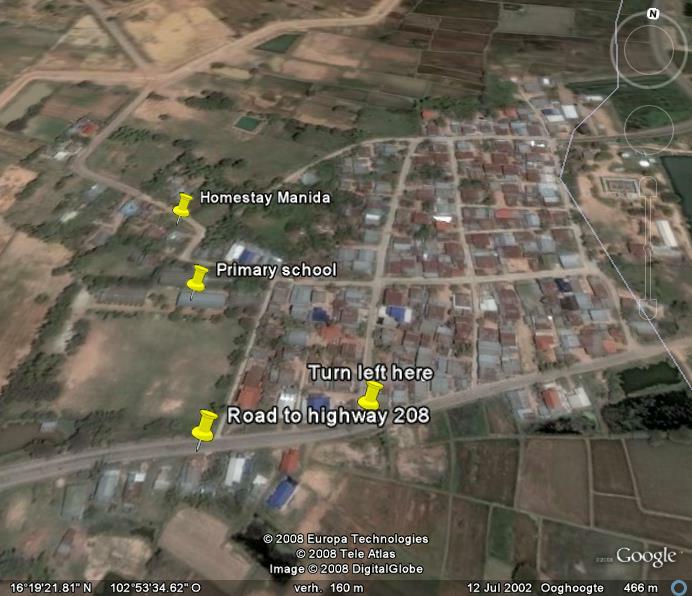 Follow the road and after 100 meters you will find Manida's Homestay. Fully airconditioned busses leave from Bangkok's Northern bus station "Mo Chit". A VIP bus ticket costs about 450 Baht and take 6 hours to reach Khon Kaen. You can also take cheaper busses but they take 1 or 2 hours longer. You can get off the bus at Tha Phra (10 km before Khon Kaen) where you can be picked up. You can also stay in the bus and take a tuk tuk (rickshaw) or taxi (both about 400 baht) at the bus station in Khon Kaen. Let the driver call Manida to make sure you get where you want to be! You can be picked up from the railway station by the pick up service or use the sangtauw (pick up trucks that serve as taxi). Just follow Ron Rum Road when you leave the railway station for about 150 meters and you will find the dark green pick-up taxi's on the right side. See also the next item. You can find the dark green pick-up taxi's on Run Rum Road, they leave every half hour or more but make sure to ask the driver if they go to Ban Non Toon, some do and some don't! It will cost you only about 25 Baht. 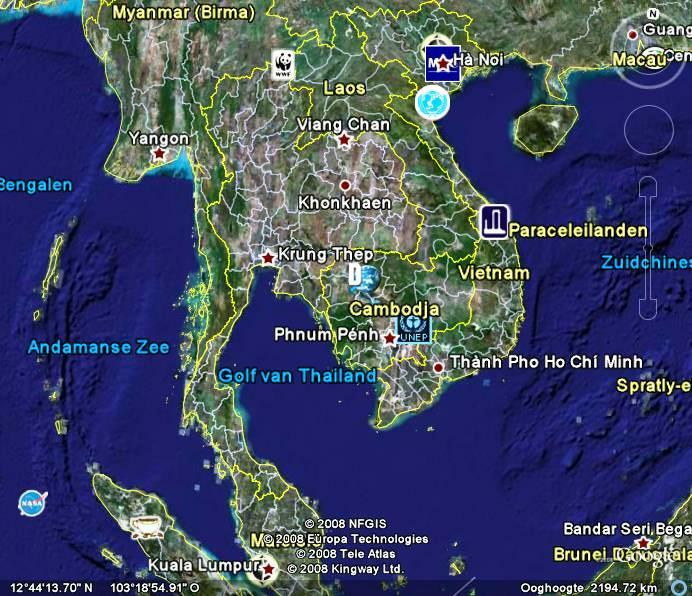 Khon Kaen airport is about 28 km from Ban Non Toon. Thai Airways has several flights per day from Bangkok to Khon Kaen. You can be picked up or take a taxi from the airport. Let the driver call Manida so she can explain where he should go. The price will be about 500 Baht.